Over time, website elements age and fall behind current digital trends. With updates to your marketing and sales strategies, you can bring your website back to life. In this eBook, you’ll learn how to locate the source of your problems and apply the right solutions for a successful website redesign. of websites have issues that significantly affect their performance. of visitors leave in pursuit of another resource due to poor website performance. These websites need attention, but expecting to meet all your website performance goals with a few surface-level updates is like betting a new front door and a fresh coat of paint will salvage a crumbling house. More likely, you need a renovation of your marketing and sales strategies to bring your website up to modern standards. In this guide, we’re going to show you the most effective way to approach a website redesign by starting with your unmet goals. Follow along as we trace the cracks back to the source of most problems and apply the right remedies. If your website isn’t ranking or seeing much traffic, several shortcomings are likely at play, including poor website content, outdated keywords and a wealth of other underutilized SEO tactics. To retrieve content and pair it with relevant search queries. Much like a house, a website requires a strong infrastructure for support. Except, instead of two-by-fours, your site’s frame is made of links that connect all webpages. Search engines use this internal link structure to index new content beyond the landing page they found. One of the most damaging SEO mistakes we see is a weak internal linking structure that cuts off a search engine’s access to the rest of the information on a website. A structural flaw this deep in the framework requires the expertise of a pillar and supporting page strategy architect who can redesign your internal link structure and open up pathways across all pages. Keyword/keyphrase research will shed light on searcher intent and help dictate what information should exist on each page. By creating content around frequently searched terms and infusing each page with the relevant keywords and phrases that inspired the content, you can increase your placement odds. Google also gives preference to mobile-friendly websites. If your website isn’t optimized for mobile users, it needs a mobile-first design, which creates a site’s visual display and functions for the smallest (and most difficult) screen size before larger screens with fewer limitations. This design approach will ensure that your new site provides a great user experience across all devices. This company increased organic leads by 181 percent despite heavy competition in a saturated market. If (despite steady traffic and page views) your website isn’t converting visitors into Marketing Qualified Leads (MQL) or Sales Qualified Leads (SQL), you might not be attracting the right people. That or visitors don’t find your content useful, relevant and trustworthy. Additionally, your website may be missing key conversion components, such as a bold calls-to-action (CTA) and strategic conversion pathways that guide visitors toward a next step. A wireframe is the digital equivalent to a home’s blueprint. 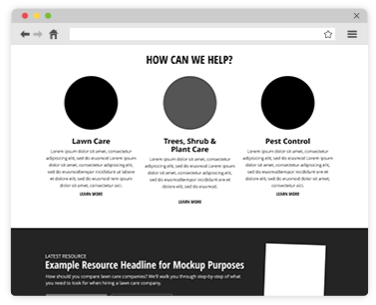 Void of design details, this mockup illustrates the size and placement of page elements (such as content and images) and includes functional links and navigations. Your redesign team uses this wireframe to test the internal link structure and navigations, and confirm that pathways make sense. Once again, mobile optimization has a significant impact on your ability to convert visitors. By 2021, over half of all online purchases will be made via a mobile device. Every second of delay to load a mobile webpage represents a 20% reduction in conversions. Designing a website with conversion pathways that work on all screen sizes requires extra consideration regarding content and navigation. For example, a smaller screen size won’t fit as much content as a larger screen, so designers must prioritize what content and visual elements are most important for prominent display. Additionally, a finger is not as accurate as a cursor when clicking, which means hyperlinks and navigation buttons need to be larger and touch-friendly. Integrating your website with advanced marketing technology is also an effective way to increase conversions and sales. Solutions like chatbots and scheduling tools provide visitors with 24/7 support, create additional touchpoints, and give visitors more ways to engage with the site. Automation software can streamline sales and marketing tasks, and encourage leads to return to the website. Take automated shopping cart abandonment emails, for example. Forty-one percent of online shoppers abandoned their shopping carts this year. Ten percent of people who receive an abandoned shopping cart email return to their cart to finish their purchase. These strategies helped one company increase website traffic by 164 percent and conversions by 1,522 percent. If your average time on page is mere seconds, your shopping cart abandonment rate is in the upper percentiles, landing page forms rarely get submitted, and visitors neglect to follow intended pathways, your website is likely not delivering an enjoyable, helpful or effective user experience. A User Flow Chart is a visual diagram that illustrates the sequence of movements or actions a visitor will take as they journey through your website. By visualizing the various pathways a visitor can take, UX designers can identify bottlenecks and opportunities to reroute visitors. 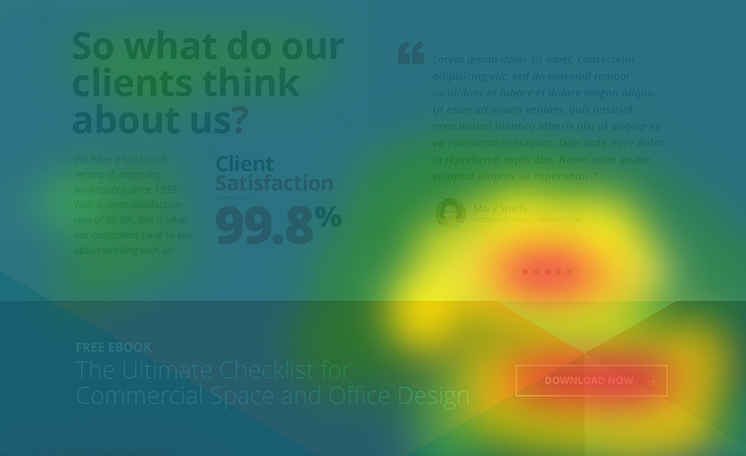 Heat Mapping is a process that uses specialized software to assess how people visually experience your website. Through a spectrum of warm and cold colors, a heat map will illuminate which parts of a page receive the most attention, how far down users typically scroll, where they decide to leave the page and more. This information allows UI designers to make design changes that redirect attention to desired areas of the page (such as the CTA). UX/UI design is a tricky trade made even more challenging by the ever-changing nature of user behavior. The way visitors search, visit, browse and engage with your website today is not necessarily how they will experience your site in the future. Take mobile web browsing, for example. Today, over 50 percent of your website traffic comes from visitors who are using a mobile device. The trick to connecting with this “moving target” is a dual design approach that incorporates “growth-driven” and “mobile-first” design elements. Traditional websites were created from start to finish and launched all at once while owners and development teams waited with bated breath to find out if their assumptions were correct. In many cases, it made financial sense to settle for issues rather than fix them. Growth Driven Design (GDD) is a development process that launches your website in small increments. As each increment goes live, the development team monitors performance, analyzes data and uses visitor feedback to inform the development of the next segment or to correct issues. The result is a highly dynamic website that goes hand-in-hand with mobile-first design and continually adapts to align with user behavior. Bounce rate is the percentage of people that land on a webpage, do nothing, and leave shortly after. If your bounce rate is off the charts (above 55 percent), there’s a good chance landing page content isn’t meeting visitor needs, the overall quality of the website gives a poor first impression, or your site takes too long to load. If your webpage content does not clearly provide a visitor with the information they seek or — worse — doesn’t attract the right visitors, you may not have a deep enough understanding of your target audience. We use buyer personas (among other tactics) to correct this problem. In addition to keyword targeting and marketing analytics, buyer personas will help define what content is needed to attract the right traffic and provide visitors with value. 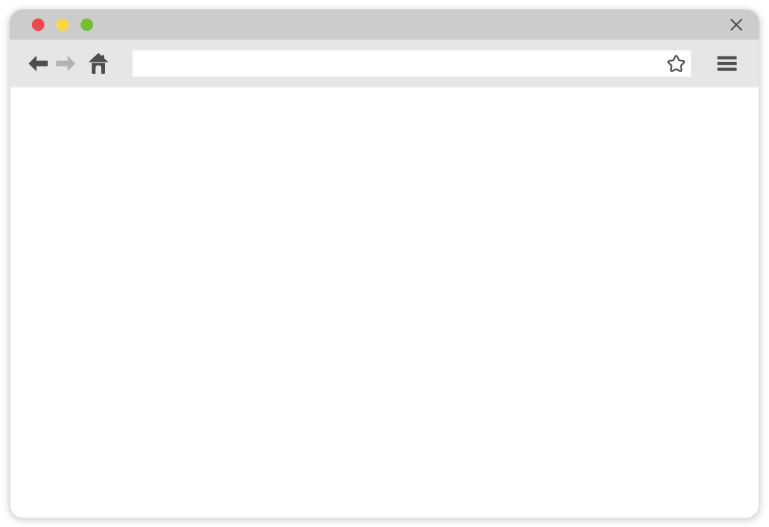 High bounce rates also indicate that your pages may take too long to load. If your sales and marketing teams are not obtaining quality MQLs and SQLs through your website, what’s the point of having it? Underutilization by your internal staff is often caused by outdated website technology, sales and marketing misalignment, lack of data aggregation and little or no education about how to leverage website data. Sales enablement is the process of providing sales teams with the tools, content and information they need to have the right conversation with the right person at the right time. However, this approach is impossible without sales and marketing alignment and a closed-loop reporting system that shares data between the two teams. To support sales efforts, your marketing team needs to create enticing campaigns that draw visitors to the website. Here’s the kicker: marketers don’t just need traffic. 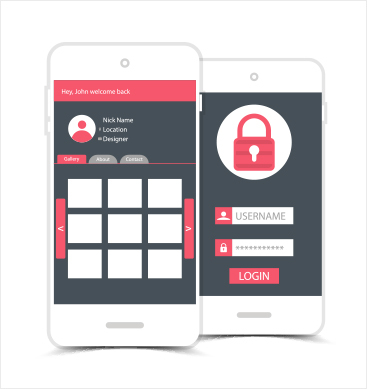 The goal is to get visitors to perform an action that qualifies them as a MQL or SQL. Once qualified, marketers can either bring MQLs into their lead nurturing process until they are ready for a sales conversation or pass SQLs off to sales reps. With a comprehensive overview of each buyer’s history of activities (traceable through closed-loop reporting system), sales reps can have meaningful, personalized conversations with prospects to provide valuable support, close more sales and shorten the sales cycle. These strategies helped a company increase MQLs by over 96 percent and SQL by over 46 percent. If your website fails to meet multiple performance goals and isn’t providing a return on your investment, there’s a good chance you need a website redesign. But it doesn’t begin and end there. The right specialists and design approaches can transform your website into a powerful digital experience with the agility and intelligence to conquer goals and scale alongside your business. At Kuno Creative, we deploy an advanced website redesign process call kunoXdesign. This process encompasses all of the above strategies to help clients achieve incredible, sustainable success. The kunoXdesign process begins with intensive UX research. 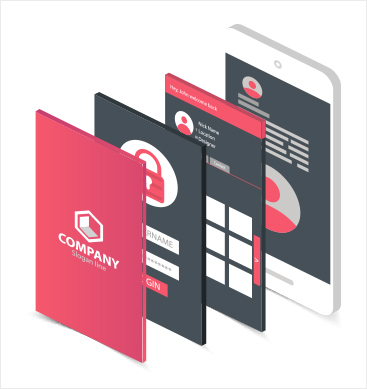 As we move through UX/UI design, information architecture, and Growth-Driven/Mobile-First development, every level of your website is infused with validated buyer insights and equipped to respond and adapt to changes. Most people don’t purchase a house with the intent to move out in 12 months. The same applies to your website. When redesigned correctly, it is possible to reconstruct foundational components that support the goals you have today and the targets you set long into the future. We’re happy to talk more about how we help our clients meet and exceed their most ambitious website performance and digital marketing goals. Click here to schedule a consultation.